The SL State is yet to yield to the call by the NPC Chief Minister to extend general amnesty to the prisoners of war and political prisoners. The reports of SL president scheduled to make an announcement on Monday was interpreted as an attempt to deceive the prisoners once again, commented Tamil activists in Jaffna. In the meantime, health condition of the hunger strikers has further worsened as many of them are still refusing to undergo medical treatment, the sources further said. The presence of SL police and military intelligence was beefed up in Jaffna as a section of angry Tamils attempted to attack the Sri Lankan Transport Board buses in the morning. But, the hartal was largely peaceful as all the sections, including the public sector officials, were extending their support to the protest. Except the medical services, all the private and public activities had come to a standstill. Students didn't attend the schools. 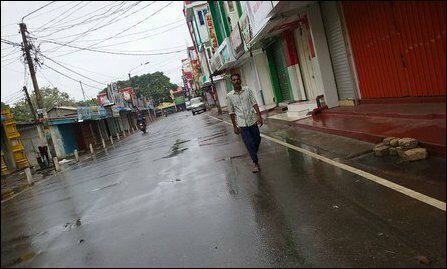 Political parties comprising the Tamil National Alliance (TNA) and the Tamil National Peoples' Front (TNPF) had initially called for the hartal in all the districts of the Northern province. The EPDP was also extending its support to the to the shutdown. 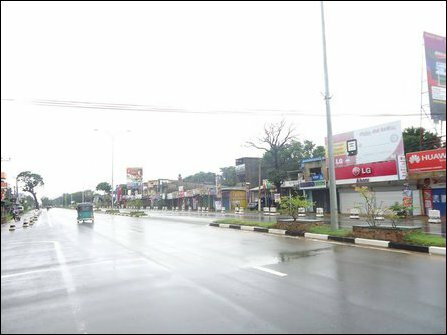 Tamil and Muslim business owners gave their fullest cooperation to the hartal and the roads remained deserted except for the occupying Sinhala military and the SL police.